It is common for people to have a few questions before the first session with their psychologist. Listed below are some common questions which people often ask. If the information below does not answer your question, please feel free to contact us on (03) 8595 3047. No, you do not require a referral to see a psychologist. You can make an appointment without a referral from your GP or psychiatrist. Sessions at Act with Purpose Psychology run for approximately 50 minutes. 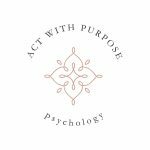 The cost of seeing a psychologist at Act with Purpose Psychology will depend on a few factors. If you have a Mental Health Care Plan this will allow you to claim the Medicare rebate. For clinical psychologists, this rebate is $124.50. If you have private health insurance, your extras may cover psychology and allow you to claim a rebate. Call your health insurance provider to find out what you are entitled to. Can I receive a Medicare or private health insurance rebate when seeing a psychologist? To determine if you are eligible for Medicare rebates with a psychologist you can visit your GP prior to the first session with your psychologist. If your private health insurance policy covers psychology you may be eligible for a rebate. We have HICAPS facilities on site. Our reception staff can process your rebate for you immediately after your appointment. Do you offer after-hours appointment? Yes, we offer after-hours appointments. Please call (03) 8595 3047 or email info@actwithpurpose.com.au for further information and to book an after-hours appointment. When a failure to disclosure specific information would place the client or another individual at an immediate and high risk of harm. When the client has provided consent for their psychologist to disclose certain information. Our reception staff will assist in processing your session payment at the end of the session. We accept cash or card payment. Our facilities support the use of EFTPOS, Visa, MasterCard. Please contact the clinic at least 24 hours in advance if you are unable to attend your appointment. If less than 24 hours notice is provided a 50% cancellation fee will be charged. This is in place so the appointment time can be offered to other clients who may be on a waiting list for an appointment. In the instance of a non-attendance, a 100% cancellation fee will be charged. Please note that Medicare rebates are not available for cancelled appointments which incur a cancellation fee. At times clients may be unable to keep an appointment due to sudden sickness, accidents or emergencies. In this situation please call the clinic as soon as possible, explain your situation and our reception staff will be happy to assist you. What can I expect during the first session with my psychologist? At the beginning of the first session your psychologist will briefly go through some important paperwork with you. This will include filling out a form including some basic personal details (such as name, date of birth, contact details), and a consent form which outlines issues such as client confidentiality, fees and other important session information. In the first session your psychologist will ask you a range of questions. In addition to gaining a thorough understanding of your current difficulties, your psychologist will explore relevant background history, such as information about your family, relationships, work history and any previous counselling you have had. This information and the first session is an important part of the assessment and will guide your psychologist in creating a unique treatment plan which is most suitable for assisting you. The first session is often when goals for treatment and desired treatment outcomes are discussed.